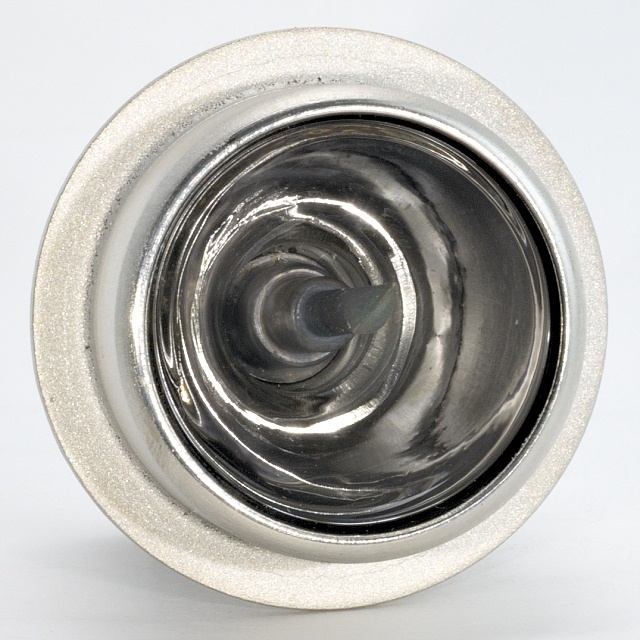 The main purpose of a pulsed X-ray tube is to study processes that take place at high speed in optically opaque objects. The investigated object is illuminated by very short bursts of radiation, so that one can avoid “smearing” the image. The small-size sharp-focus IMA2-150D tube with a blade-edge cathode was used for x-raying of materials and equipped the MIRA-2D apparatus for the testing of steel structures up to 25 mm thick. 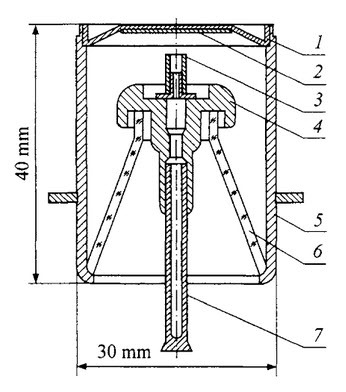 1 extraction window, made of Kovar, and having a thickness of 0.2 mm. 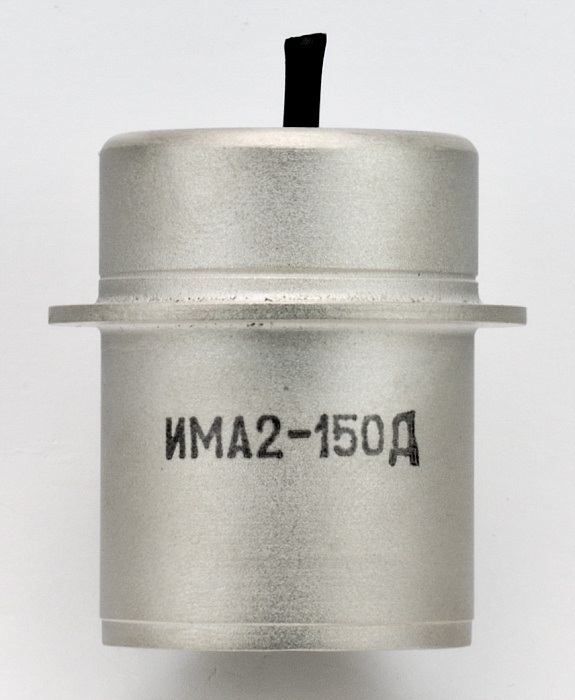 2 transmission tungsten anode of thickness 0.02 mm. 4 a mushroom-shaped electrode, intended to protect the glass insulating part 6 of the vacuum envelope from condensation of metal vapors on it and to support the exhaust tube 7. 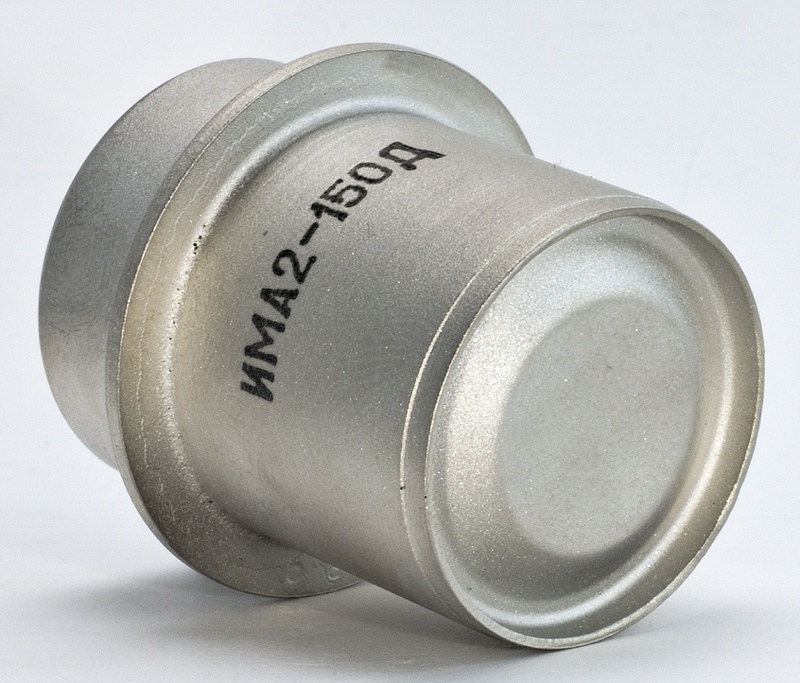 An important distinguishing feature of tubes with a transmission anode (which is usually grounded) is the possibility of placing the object in the immediate vicinity of the extraction window, i.e., at a distance of a tenth of a millimeter from the focal spot.